Recently the representatives of the BioWare company - the upcoming RPG’s developer - have revealed the information, according to which the future Dragon Age: Inquisition DLC won’t include any new characters. This position has been stated by the project’s creative director - Mike Laidlaw - in his interview to the Official Xbox Magazine. As Laidlaw has explained, in this RPG all the characters are so connected to each other and influence on the game’s ending that implementing of the new heroes is possible only if the data about them will be shipped on the disc. However, as a rule, the players don’t like to pay for the content, which they already have. So, in order to avoid the critics, the developers have made a decision to refuse the adding of the new characters in the future Dragon Age: Inquisition DLC. As a result, the game will include only nine heroes. You have already met six of them: Cassandra Pentaghast, Varric the Dwarf, Vivienn, an elven archer - Sera, - an elven mage, named Solas, and Iron Bull. 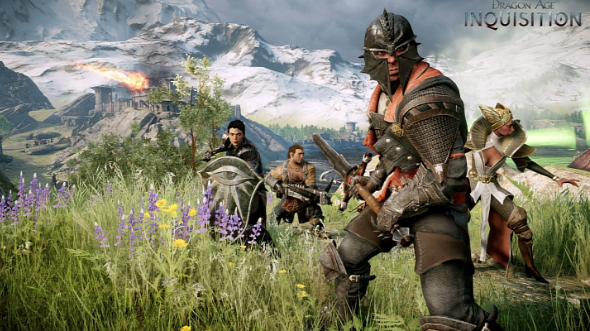 And what do you think about the future Dragon Age: Inquisition DLC without new characters? Does the game need them? And what BioWare’s protagonists did you remember the most? We’ll be glad to see your answers in the comments.